In order to support a claim of medical malpractice, expert testimony will most likely be necessary to show (a) the applicable standard of care; (b) the breach of the standard of care; and (c) that the breach in the standard of care caused injury to the plaintiff. (d) with a non-specialist defendant, whether the witness is sufficiently familiar with the standard of care at issue. Expert testimony on the issue of causation and injury to the plaintiff does not need to be from a doctor practicing in the same school of medicine as the defendant. In virtually all personal injury cases, trial lawyers rely on the testimony of treating doctors to prove the extent of an injury and to connect cause to injury. That being said the communications between injured parties and their physicians are privileged: defense attorneys are prohibited from speaking to treating doctors or their offices regarding the nature and extent of any injury and associated causes prior to deposition. "the fiduciary relationship existing between the patient and physician requires, at the very minimum, that the patient has a right to rest assured that the physician will act in good faith, while at the same time, the physician complies with court-authorized discovery. Thus, when a patient files suit, the physician should be prepared to release those records relevant to the condition placed at issue, be available to give depositions, and be prepared to testify, should he be called upon to do so....Discussion of the patient's confidences under any other circumstances, such as the ex parte conference, could be inconsistent with the duties of...the physician.... The ex parte conference involves conduct which could be violative of the duties of a fiduciary and would, therefore, be contrary to public policy favoring the fiduciary nature of the physician-patient relationship." Petrillo v. Syntex Laboratories, Inc., 148 Ill. App. 3d 581, 594-95, 499 N.E.2d 952 (1st Dist. 1986). There are exceptions to this rule, several exceptions actually. One statutory exception to the Petrillo Doctrine is found in 735 ILCS 5/8-802. Ex parte communications between defense counsel and treating doctors is acceptable in civil actions against the physician for malpractice. According to a study performed by Johns Hopkins School of Hygiene and Public Health, Doctors are the third leading cause of death in the United States, after heart disease and cancer. 106,000 are killed by the very drugs prescribed to them. Make no mistake, we are fond of our doctors. Yet doctors are human, and everyone makes mistakes. However, when a medical mistake occurs, accountability is key. A mistake has been made, and the person who has been injured deserves a remedy. Sometimes a doctor mistake results in catastrophe. Dana Carvey sued his heart surgeon after the doctor operated on the wrong artery during a double bypass in 1998. Carvey successfully brought the medical malpractice claim, and stated, "This lawsuit, from the beginning, was about accountability and doing everything I could to make sure that it wouldn't happen to someone else." Julie Andrews successfully brought a claim against a doctor who operated on non-cancerous nodules in her throat. The doctor operated on both sides of her vocal cord when the surgery should not have been performed on the right side. This surgery ended her career as a singer. John Ritter's family successfully sued his heart doctors for medical malpractice in the wake of his untimely death. His doctors misdiagnosed a tear in his aorta as a heart attack. Dennis Quaids' new born twins were accidentally diagnosed with 1,000 times the amount of blood thinner they were supposed to have received at Ceders-Sinai Hospital in Los Angeles. The Quaid family started a foundation to remedy the "conspiracy of silence" adhered to by doctors, nurses, hospitals, and insurance companies and to create transparency in the wake of medical malpractice. A recently published article in BMJ Quality and Safety journal has uncovered frightening statistics regarding the percent of tests that are followed up on in hospitals. According to the journal which analyzed 12 international studies, up to 75% of tests performed on emergency care patients are not followed up on. This lack of diligence can have serious and dramatic repercussions on patients such as "delayed or missed diagnoses and even death." If you or a family member has been critically injured due to delayed or missed diagnoses, contact one of our attorneys for help today. Purposes of the Illinois Nursing Home Care Act are to provide nursing home residents with civil enforcement powers and the right to seek compensation through litigation. The Illinois Nursing Home Care Act is one of the few instances where civil remedies like personal injury litigation are encouraged. It makes sense that under the Act, Section 622 affidavits are not required in order to bring a claim for nursing abuse. Under the Illinois Nursing Home Care Act, "actionable neglect includes a failure to provide adequate "personal care" which failure results in physical injury to the resident. In this framework, "personal care" is usually includes assistance with "movement, bathing or other personal needs or maintenance, or general supervision and oversight of the physical and mental well-being" of the resident. 210 ILCS 45/1-117 and 210 ILCS 45/1-120. An increasingly common point of view is that medical malpractice claims are frivolous lawsuits that tarnish the reputation of doctors and contribute to the cost of medical care. In previous posts, I have tried to supply support for arguments that medical malpractice cases are not frivolous lawsuits. Medical malpractice cases are viewed with a higher level of gravity than many other types of cases because of the complexity, expense and difficulty in even helping an individual who has been injured because of the negligence of a doctor. Medical malpractice attorneys do not file frivolous lawsuits. They cannot afford to. The Institute of Medicine estimates that there are between 44,000 and 98,000 American deaths each year because of "preventable medical errors," and it is highly likely that these numbers are underestimates. In medical malpractice cases, it is the patient who is harmed. It is the patient who has been wronged. It is the patient who deserves protection and compensation. Let us not lose sight of this fact. One of the guiding principles in our civil legal system is that the law has a remedy for every wrong. More often than anyone would like, the remedy cannot fully compensate an individual or a family for their loss. 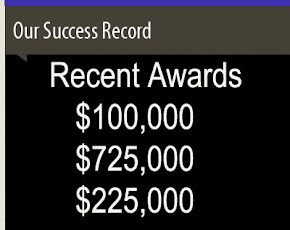 However, any competent personal injury attorney should have as their goal achieving the best possible remedy for the wrongs suffered by their clients. In the case of medical malpractice matters, the theories of recovery and damages that are recoverable are generally the same as in any other personal injury matter. It is the medical malpractice attorney's job to ensure that each element of damages applicable to a case is fleshed out in its entirety. It is the attorney's job to marshal the facts of the case and to procure witness testimony to support their client's claim for compensation. Ultimately, it is the jury who decides the amount of damages. An accomplished medical malpractice attorney will be able to take the facts of your case, and turn them into an argument for deserved compensation. If you suspect that you have been injured because of medical malpractice, contact an attorney at The Law Offices of Adam J. Zayed, P.C. today. 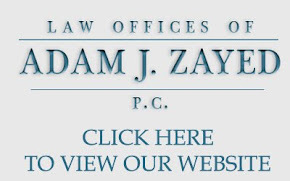 Copyrighted by The Law Offices of Adam J. Zayed, P.C. Picture Window theme. Powered by Blogger.